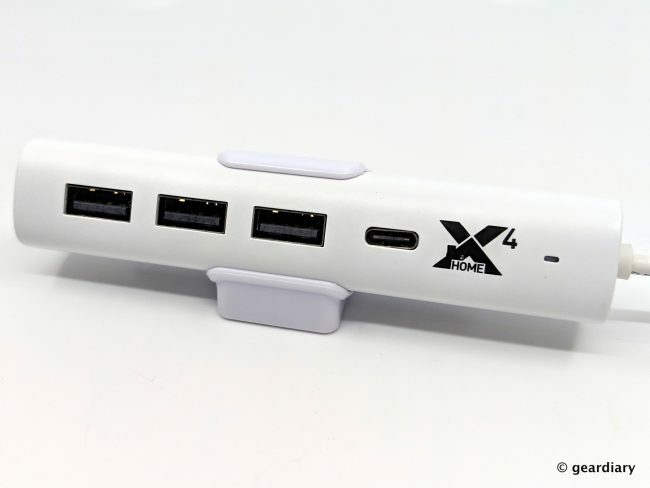 Available in a black or white alloy finish, the X4 Home is a slim multi-port charger that packs a charging wallop in its ~4.25″ long by 0.8″ wide body. 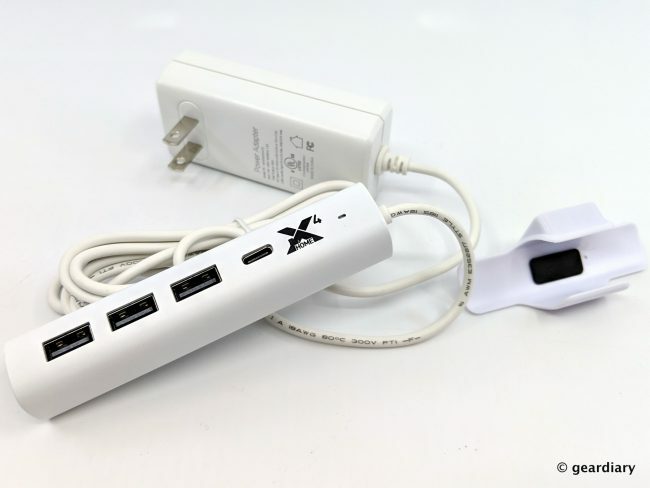 The X4 Home has a 6′ long hard-wired cable ending with a wall plug; there’s even a removable stand included (with a piece of sticky tape) that can be mounted on just about any flat surface to keep the charger from scooting. Sometimes it’s the little things that make a big impression, and that’s what the X4 Home has done. 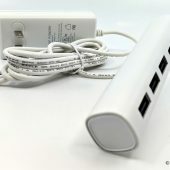 It’s able to do high-speed Android or iPhone charging through it’s USB Type-C port, and it’s even powerful enough to charge my 12″ MacBook overnight — which means one less charger to pack when traveling (yay!). 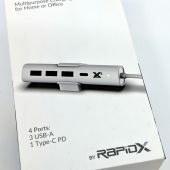 The RapidX X4 Home is a great solution for charging multiple devices at once on home and on the road; If you travel a lot, you’ll like how much smaller it is that other multi-port chargers. 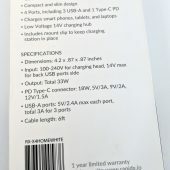 If you have phones with high-speed charging capabilities, you’ll like that this charger lets you take advantage of that. 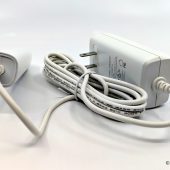 Yes, you need one! 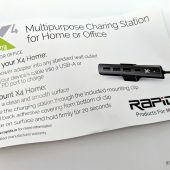 The RapidX X4 Home retails for $39.99, and it is available in black or white directly from the manufacturer and from other retailers including Amazon (use our affiliate link for a bit of savings).